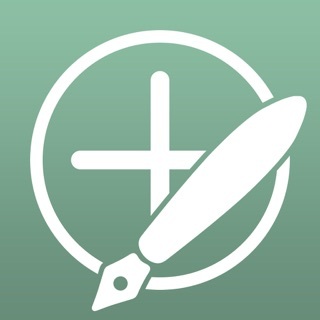 • TEXT - Add a title and text to your note. The date will be added automatically and can also be changed. The text body is scanned by data detectors so phone numbers, addresses, web links and email addresses become interactive. For easier typing the horizontal keyboard is supported. 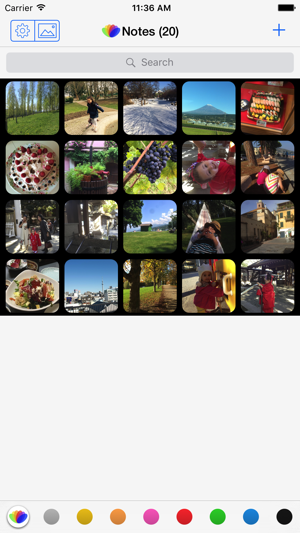 • PHOTOS - Add up to six photos per note, either by taking it with the camera or choosing one from the photos library. You can also view the photo fullscreen and zoom into it. 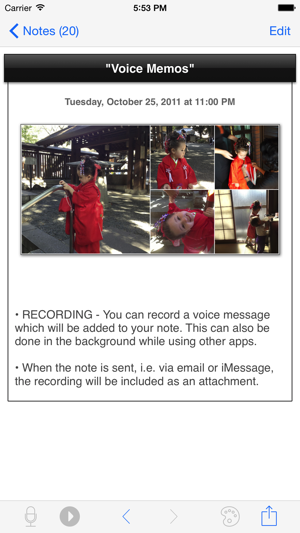 • RECORDING - You can record a voice message which will be added to your note. This can also be done in the background while using other apps. 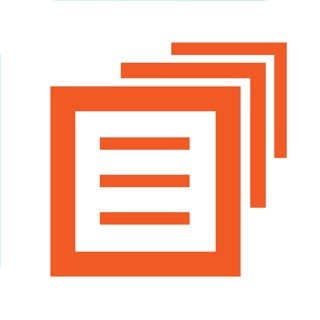 • COLOR CATEGORIES - Organize your notes by assigning colors to them. You can easily switch between categories or view the whole notebook. Font and text size can be set individually. Each category can be ordered by date or alphabetically. • SEARCH - Notes can be searched by title and text. Search can be limited to a color or scan the complete notebook. 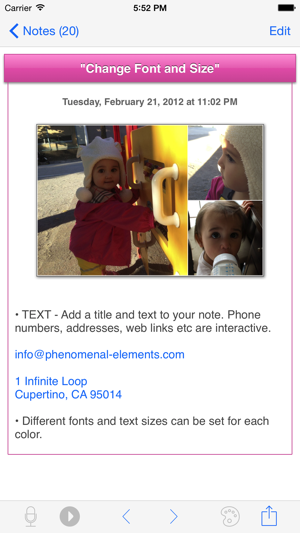 • SHARING - You can send a note with all of its contents, including the photo and recording as attachments. 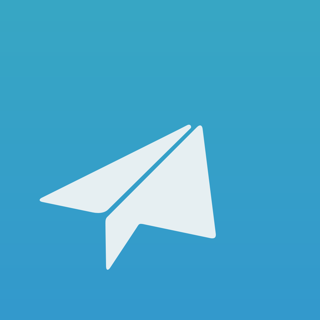 Send via Email, iMessage, Twitter, Facebook and more. • CODE LOCK - Lock your notebook with a pass code to protect private notes. The lock can also be activated when multitasking. 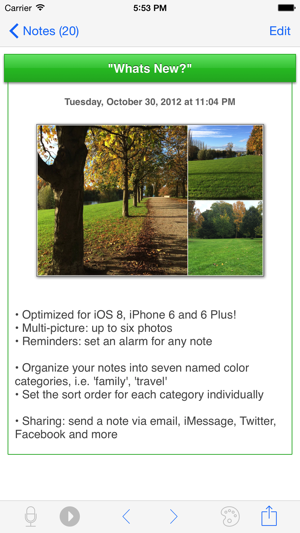 • iCLOUD BACKUP - Create backups of your notes including all photos and recordings. This way your notes are safe independently from iTunes. Diary, to-do list, cheat slip or wine list are just some examples of how our customers use all-in Notes. In everyday use the notebook always stays neat and does not distract you with useless functionality. I use this app for storing all my favorite recipes. And it works wonderful for me. Am trying to get ahold of support and it keeps coming up that the website is expired. $6.99 and no support - might be a waste of money.